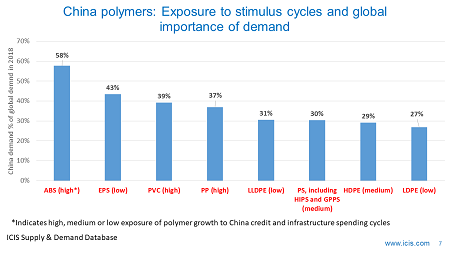 YOU should print-off the above chart and stick it on your chemicals company boardroom wall. 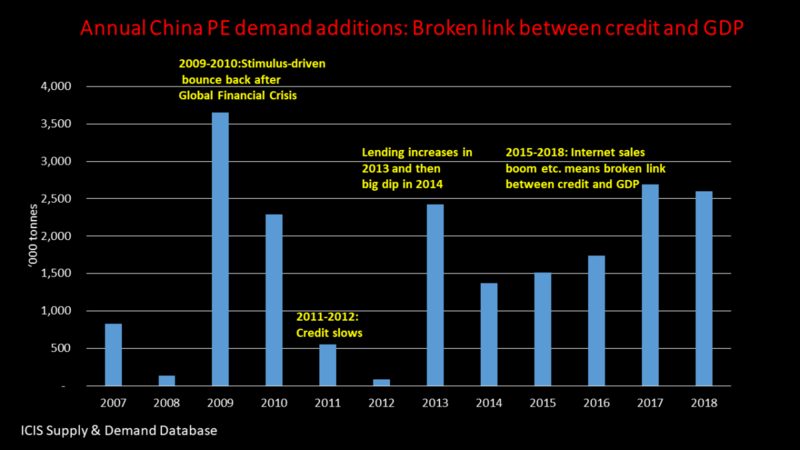 From fellow blogger Paul Hodges, it shows the collapse in credit issued via China’s shadow banking system. It is the shadow banking system that has driven China’s debt-t0-GDP ratio to as high as 650% – and could mean that it is too late for China to avoid a “Minsky Moment” – Ponzi Financing, when ash flows neither cover principal nor interest. Debt can only be serviced by taking out new borrowing. 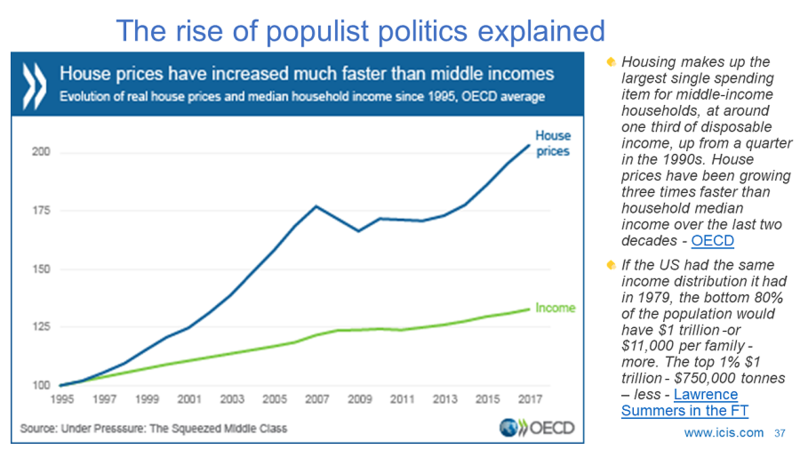 But unlike in the West, where this little recognition of the failure of economic policies since the Global Financial Crisis, China’s leaders know the problem and are trying to deal with it. China’s industrial output for July rose 6.4% year on-year compared with analysts’ expectations of a 7.2% increase. July retail sales rose 10.4% from a year ago, lower than a 10.8% forecast from analysts polled by Reuters. Meanwhile January to July fixed asset investment rose 8.3% from a year ago, as against a Reuters’ poll forecast of 8.6%. This was the lowest growth since December. China’s export growth slowed to 7.2% in July from a year earlier, the slowest pace since February and down from an 11.3% increase in June. Housing sales also grew by just 2% year-on-year after a 21% increase during January-June. Chinese oil processing in July dropped 4.4% from the previous month to about 10.76m barrels a day, according to Bloomberg calculations based on data released Monday by the National Bureau of Statistics. And last month, China imported some 34.66m tons of crude oil, or around 8.16m bbl/day, which Reuters say is the lowest since January, based on its calculations of China Customs department data. 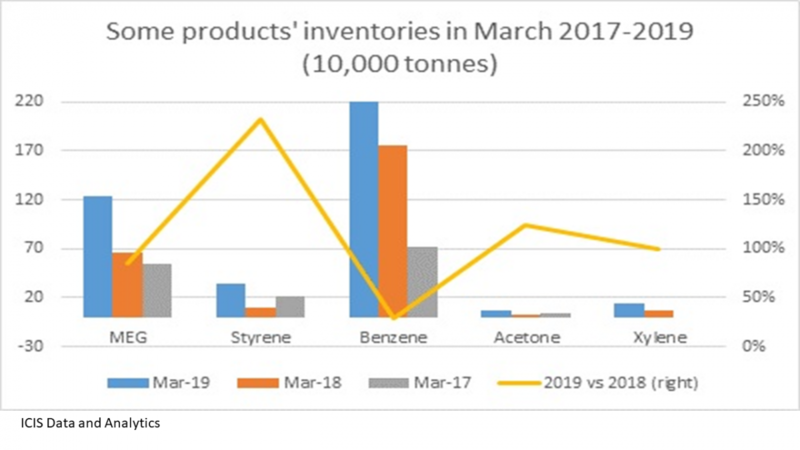 One of the reasons for the fall in crude imports and lower refinery runs is maintenance work by China’s teapot, or independent refiners. But another factor is lower growth in demand for fuel as the economy slows. And the teapot refineries are not just being closed for maintenance work. They are also being forced to cut production because of more stringent environmental checks which also applies to manufacturing in general. 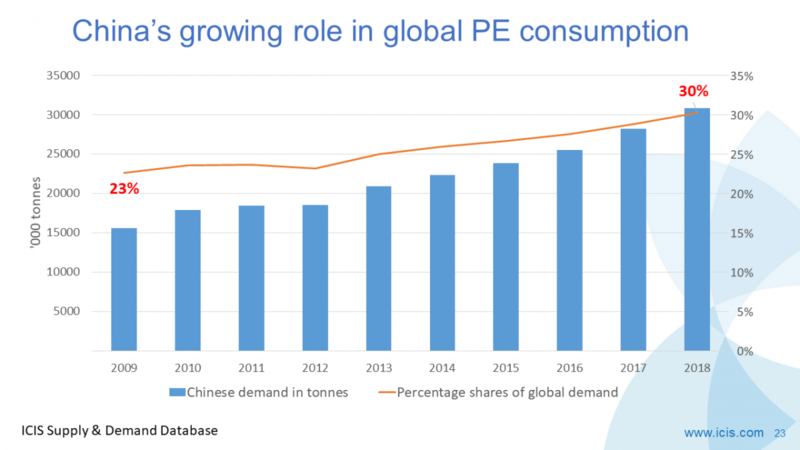 China is very serious about tackling its pollution crisis, and so more strictly enforced emissions rules will remain a drag on industrial production, including polymers consumption, and so economic growth, during the rest of 2017 and into 2018. By the standards of any other economy in the world, these would be still be very strong growth numbers. 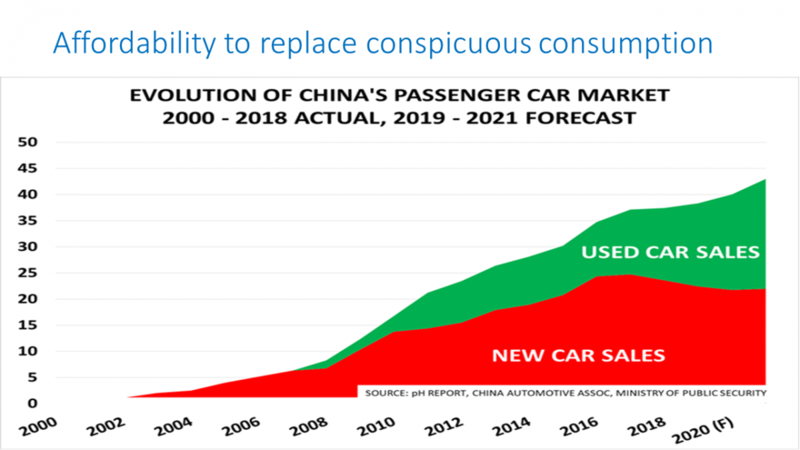 China’s impact on the world economy is significant. Over the past five years its nominal GDP has expanded by $3.7trn, an amount that exceeds the GDP of Germany. In contrast, the entire global economy has expanded its nominal GDP by only $2.2trn. Could this be the beginning of the data flow that leads to a realisation by September that global equity markets are severely overvalued? And will any retreat in equities be accompanied by a sharp fall in commodities, most importantly crude oil? It is of course too early to say for certain, but you need scenarios in place in case this happens. 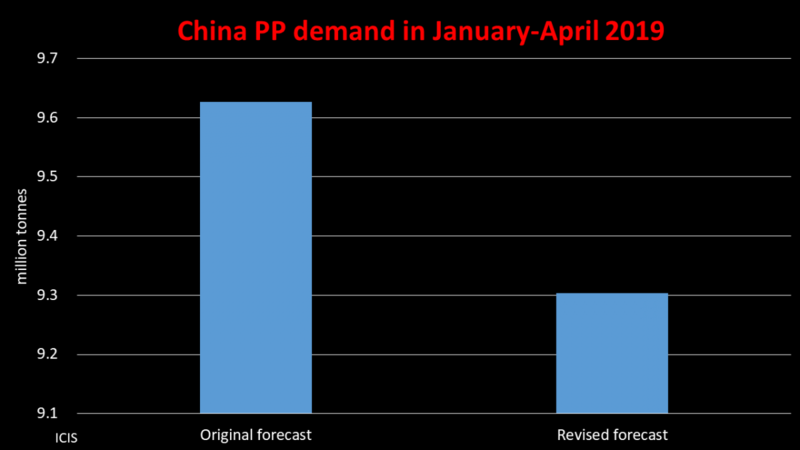 NEXT POST China Drives 58% Of Global PP Growth, So What's Your Plan B? 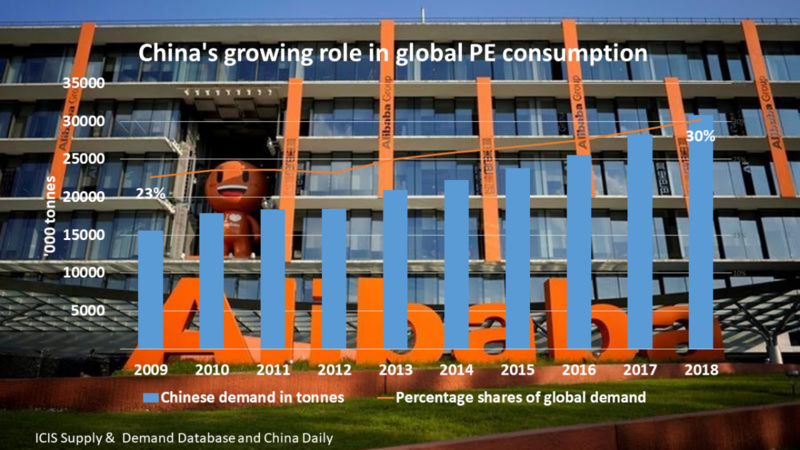 China Drives 58% Of Global PP Growth, So What's Your Plan B?